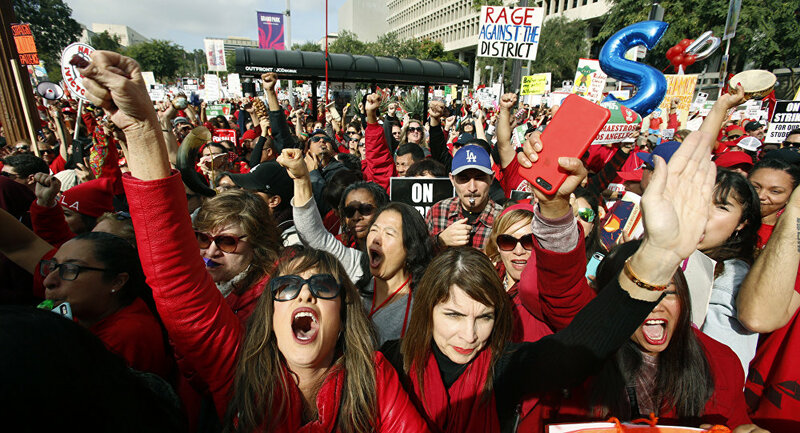 The trend of teachers strikes continued into the New Year with the Los Angeles United School District, the second largest in nation, leading the charge. As Los Angeles teachers prepared to head back into the classroom, teachers in Denver voted to strike by 93 percent. They may start walking out as early as Monday. Additionally, December saw the first ever labor strike at a charter school when teachers at 15 branches of Acero Charter Schools walked out for four days.